On 14th November Robert and Martin took part at the second Forschungsbörse Gesundheitswesen (Link). They presented the different projects of the lab with a focus of recruiting students from healthcare related study programs for potential Bachelor, Master or Doctoral theses. 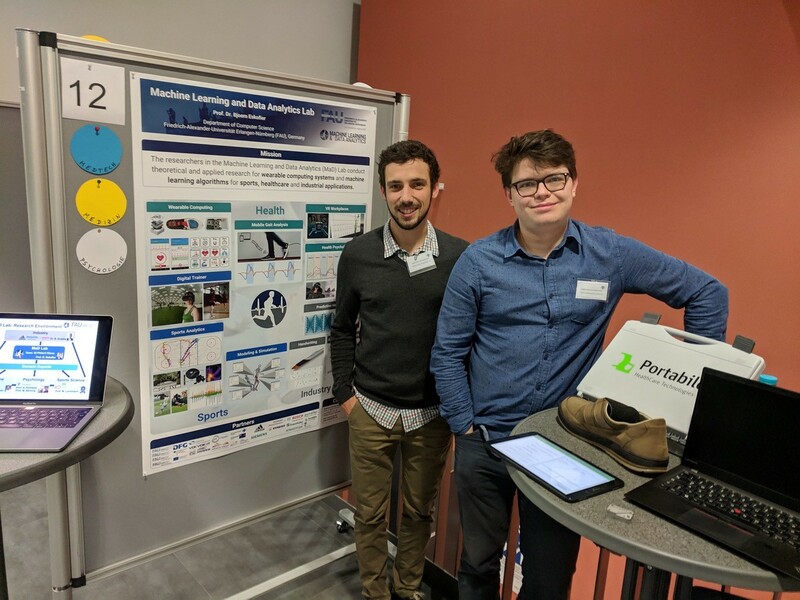 Besides the new group poster, especially live demos of gait analysis hardware and software drew the attention of the visitors and we are looking forward to welcome lots of new students at our lab in the future.